After the interest sparked by our 10 music videos filmed in Ibiza post, we are now able to bring you 10 more music videos filmed in Ibiza. Some are well known. Some showcase the delights of the island and some are just a little bizarre (you’ll know which one when you watch it). As always if you have any more please post in the comments section below or hit us up on Twitter or Facebook. This could easily be a watersports advert for Ibiza featuring Parasailing, cliff jumping, jet skis and flyboarding all off the coast of San Antonio. They also end up at the legendary Paint Party at Privilege. Martin Garrix is no stranger to Ibiza and this year (2017) will see him hold down two residencies on the island so its no surprise he made a music video in Ibiza, featuring great shots around Ibiza town and the craziness of Privilege. What can you say about this song and video? The lyrics tell it how it is in Ibiza. Shot in and around San Antonio featuring the famous egg, Sunset Strip and the West End it’s certainly different. 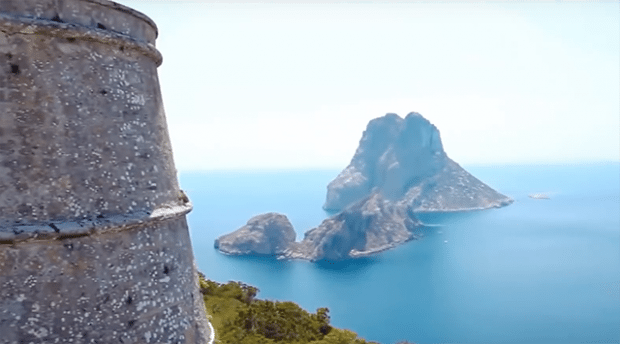 This video was suggested to us on Facebook and has it all – scantily clad girls, smiling DJ’s, some catchy lyrics oh and a few views of Ibiza thrown in for good measure. A good solid dance track filmed and produced in Ibiza. A real throwback to times before social media where the warm up DJ’s would be out on the streets handing out flyers for their own club nights. Some great shots of the island including the hippy vibe which still exists today. Many people may not know that Jose Padilla moved to Ibiza in 1975 where he got involved in the evolving nightclub scene. He went on to produce 6 of the iconic Cafe del Mar chillout albums. Something different but equally as beautiful from the shores of Ibiza. 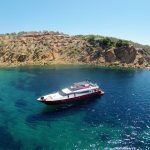 The ultimate tourism video of Ibiza with a little of everything the island has to offer, stunning, views, health retreats, culture, shopping, mountain biking, watersports and club life. I think the Ibiza tourist board should have this as their go to video to showcase the island to the world. A very moody video with some great shots of the sunset strip before the promenade was built. The video was all shot in winter with empty streets, swimming pools and the like with the summer scenes projected onto the buildings. A real showcase of the difference between summer and winter in Ibiza. This was made in 2010 and shows the true beauty of rural Ibiza away from the major resorts. It also has some great sunset shots of years gone by and, as they still are today, each one is a little different. A stereo typical Ibiza video with beautiful shots of the island, the boats, the views, the sunset then off to Amnesia for Marus Schulz night with dancers and the crowds going wild. So there you have it 10 more music videos filmed in Ibiza and if you know of any more please comment below. Offshore by Chicane in Formentera ? Thank you never knew about this one at all.